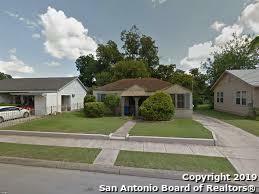 All HARLANDALE homes currently listed for sale in San Antonio as of 04/24/2019 are shown below. You can change the search criteria at any time by pressing the 'Change Search' button below. "Stunning Spanish jewel nestled in the Historic Mission District, a stones throw from the San Antonio River. 5 bedrooms, 2 1/2 bath, 2 car garage, Media Room, formal dining room, The very personification of an open floor plan w/ a picturesque courtyard & water fountain. Exceptionally entertainment friendly, You will feel like your at a vacation retreat. Gourmet kitchen features 42 cabinets, w/ a kitchen island. Jenare stove w/ downdraft. 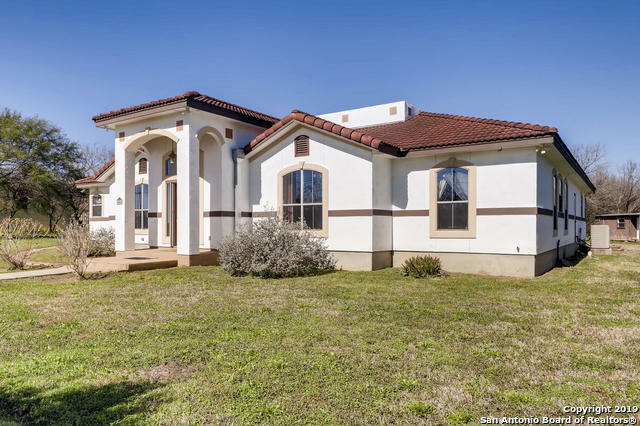 Master Suite has slanted raised ceiling, Master Bath has j"
"A home most Buyers are looking for in the city limits, such a rare to find property when you want space and distance from neighbors...offering 3 Bed Rooms, 2 1/2 Bath and a large game room, on 1 acre. A recently replaced Roof and HVAC System. This property is located near schools, shopping and access to major thorough fares, yet off the beat and path from SW Military. A must see!" 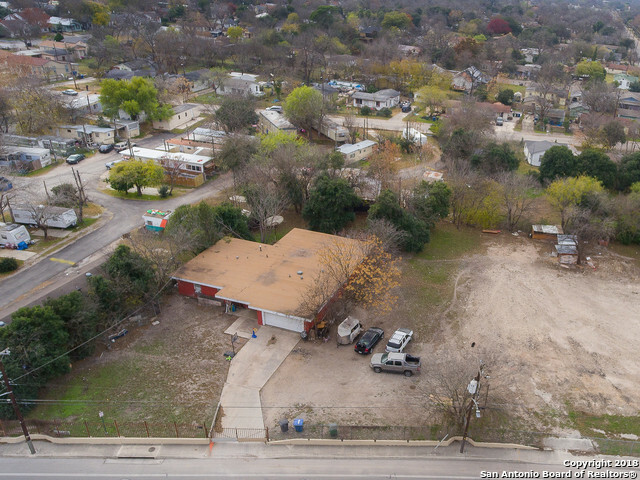 "Come take a look at this incredible 1.3 Acre lot, seconds from I35. You will be amaze on how much land is hidden. High traffic area with parking on both sides of the house and in the back of the property Off of Hart St. Frank Tejeda is located across the street. You can do so much with this land in the City. House does need TLC." "Great Home with lots of upgrades. Home will include 5 burner gas cook-top, double ovens, washer, dryer, and refrigerator. 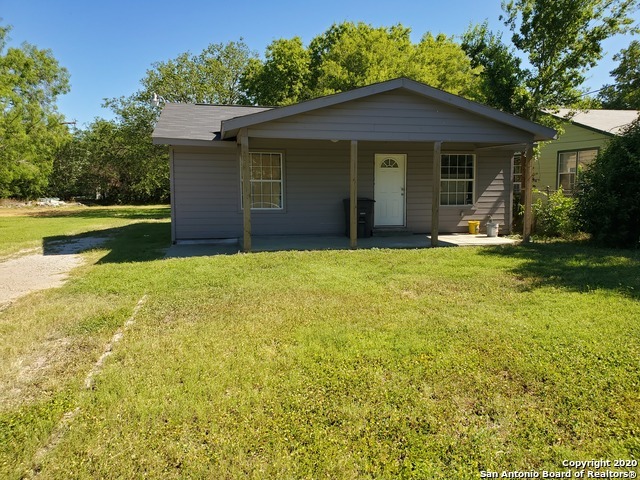 Large yard with a Bonus Apt in the back with 2 bedrooms 1 bath, large garage, covered area, and above ground pool. Elem. School across street. Close to middle and high schools. Mins from downtown, South Park Mall, and the Missions. Office can be converted into a bedroom. This home will not disappoint, set up your showing today!" "Come view this home! 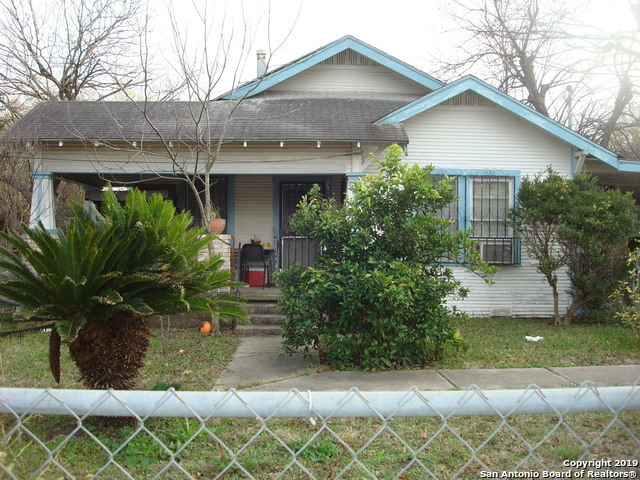 Perfect for an investor to rent out or a family. This is in a PRIME location, across from the Riverside Golf Course and Mission San Jose with lots of new development coming in the area." 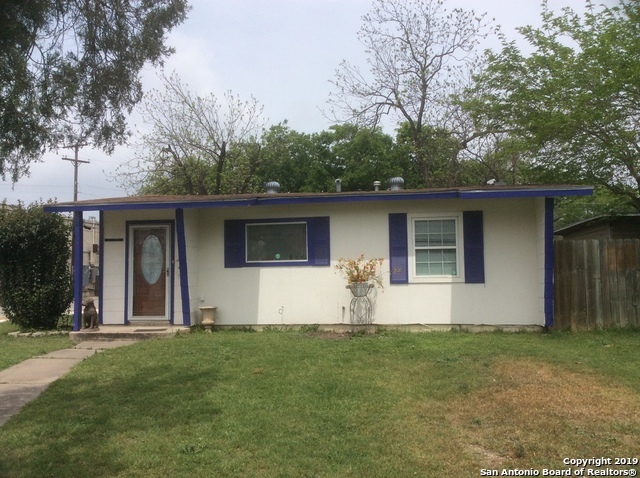 "2 acres near TX A&M & Palo Alto College -- 1935 fixer-upper home with 1969/70 mobile home -- zoning: R-6 (Res. Single-Family District, 7 units per acre) and R-6 CD (Res. Single-Family District with Conditional Use for a Professional Office -- potential in-fill development -- entrances on Buchanan side and curb cut on Pleasanton side." "Property has rental home on it." "Great Starter home in up and coming neighborhood. House has been updated. New flooring, new ceiling fans and light fixtures, paint inside and out. New Windows. Kitchen has new cabinets, stainless steel stove, microwave, dishwasher and refrigerator. GRANITE countertop. Both bathrooms are new. This house has a large back yard. Close to Brooks City Base shopping. Missions and Mission trails very close by. Toyota, Texas A&M, and ACCD near. *Chain Link front gate to be repaired. *"
"LOCATION! LOCATION! LOCATION! EASY ACCESS TO LOOP 410 AND I-35. JUST MINUTES FROM PALO ALTO COLLEGE AND TEXAS A&M UNIVERSITY SAN ANTONIO CAMPUS. 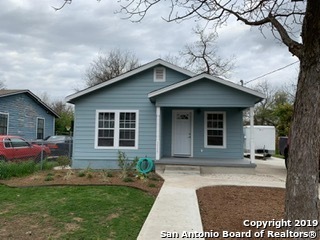 THIS HOME IS ELIGIBLE FOR THE CITY OF SAN ANTONIO DOWN PAYMENT ASSISTANCE OF UP TO $15,000 TO COVER DOWN PAYMENT AND CLOSING COST FOR QUALIFYING FIRST TIME HOME BUYERS. THIS HOME OFFERS BEAUTIFUL LAMINATE FLOORING , GRANITE COUNTER TOPS , OVER SIZED MASTER BEDROOM ,UPDATED BATH ROOMS ,GATED BACKYARD AND A CARPORT. THIS HOME IS A MUST SEE!!!" 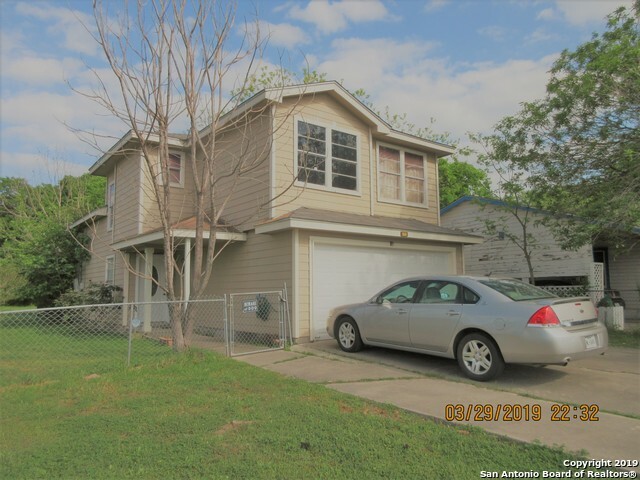 "Two story corner lot home located South San Antonio between IH35 and Loop 410. Convenient to major shopping and entertainment centers and Texas A&M San Antonio. This home features 3 bedrooms and two full bathrooms. Marble countertops, a/c, water heater and roof less then 5 years old, energy efficient ducts, 2nd floor balcony with access from master bedroom suite, 2 car garage with new openers. Large backyard perfect for outdoor events and activities." "Close to IH35, IH10 & HIGHWAY 90. Major shopping stores in the area. And close to MILITARY DRIVE. Owner financing with $15k down, @ 7.5% with a 30 year mortgage." "COME AND TAKE A TOUR! GET IN LOVE OF THIS BEAUTIFUL FULLY REMODELED ONE STORY HOME, MOVE IN READY. MODERN STYLE; INCLUDING TILE AND LAMINATED FLOORING, GLASS SHOWER DOORS, KITCHEN GRANIT COUNTERTPOS, LARGE BACK YARD AND SPACIOUS FRONT DECK. MAKE YOUR DREAM A REALITY AND OWN THIS CONFORTABLE AND LOVLEY HOME." 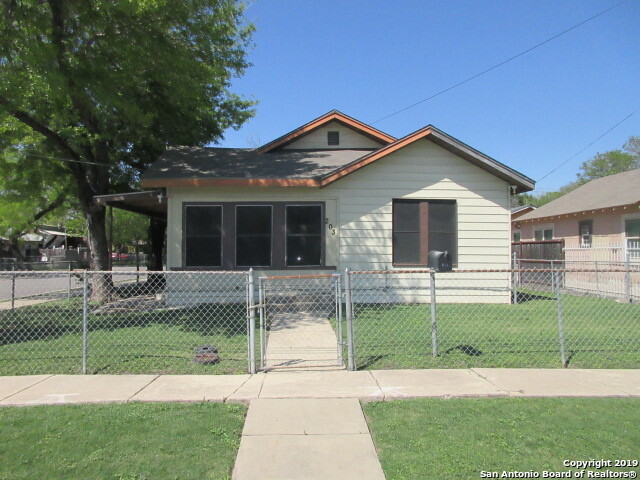 "Well maintained 3 Bedroom 2 Bath Home! Huge Living/Dinning room combo with high ceilings & nice fireplace, perfect for family gatherings. All bedrooms are spacious and Master Bedroom comes complete with a nice walk-in closet. House comes with utility room. Driveway leads to large backyard with endless opportunities for entertainment. 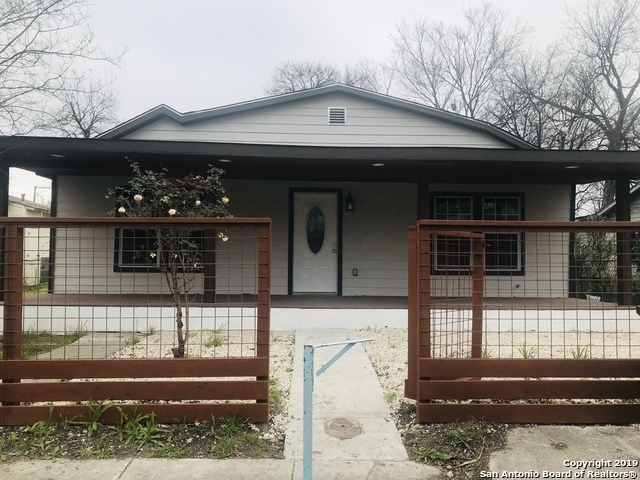 Front yard is gated for extra privacy and Home is just minutes from Loop 410, IH -35, Palo Alto College, Texas A&M and Toyota Plant." "Empty lot will be surveyed off sellers are to build a new spec house!!! The home is taking shape!" 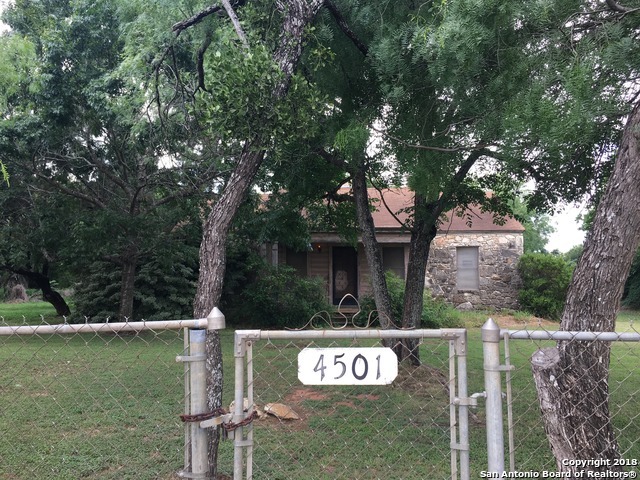 "Seller financing Option, 1545 square feet, Multiple living areas, Family Room, Breakfeast Area plus office/study Rm, Big yard, pecan trees, covered rear patio, Rear storage 3 bedrooms, Real Value Price per Square foot, handyman Special. 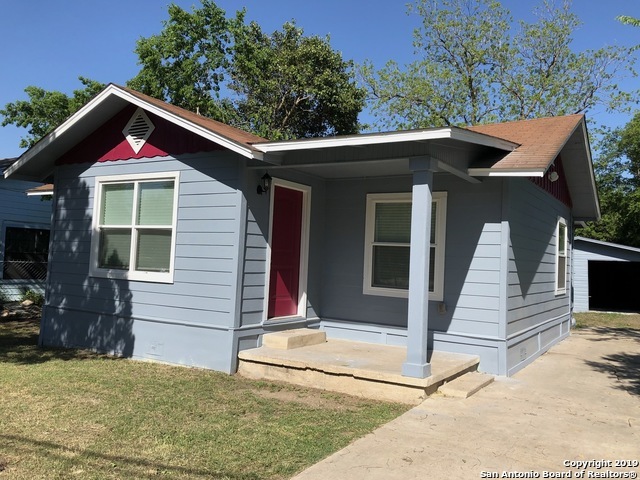 Oak Floors, 1938 Charm, Location Location Location minutes from Major Highway Routes, Shopping, Universitys, Hospitals and the famous Downtown River Walk. Once polishised, famlies will be proud hosting Thursday night dinners and Weekend BBQ's, preview your New H"
"Welcome Home! This stunning 4 bedroom 2 bathroom home is just what you are looking for. 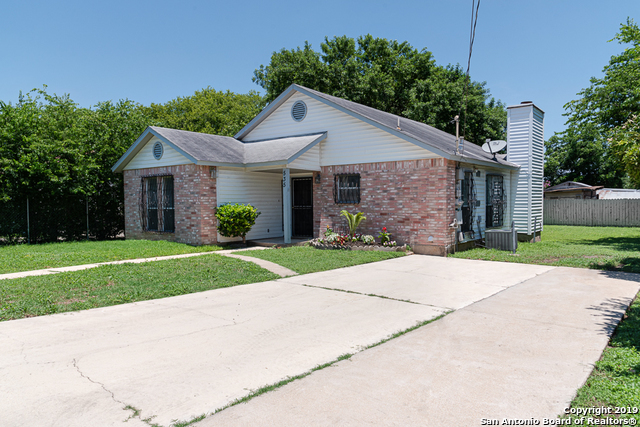 Located in the heart of Harlandale, this home is completely renovated and beautifully done! This home was made to be shown off and enjoyed. After you are done showing it off, the stunning master suite is perfect to relax in, with in an incredible shower that you will fall in love with! This Is Home!" "Spacious corner lot, this 3bedroom/2bath home has an open floor plan and tons of upgrades. It includes laminate wood, carpet, and ceramic flooring. The kitchen opens to the living/dining room and family room with fireplace perfect for large gatherings. Great backyard for relaxing and/or entertaining. 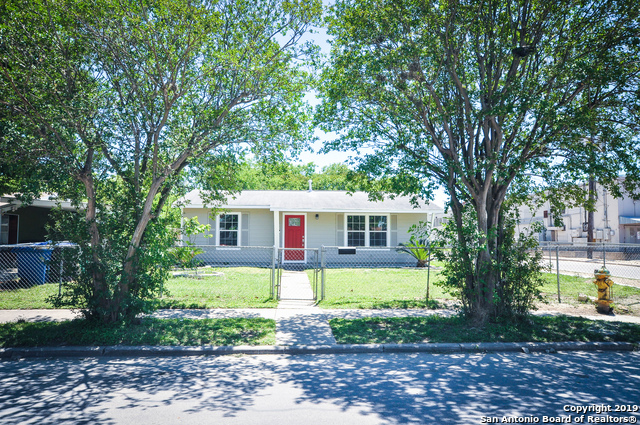 Walking distance to elementary school, minutes away from shopping, easy access to IH 35, Hwy 90 & IH10, close to Downtown San Antonio. Schedule a showing today!" "This home has new paint, flooring, wide hallway and wide doors for handicap access. Build in 2005 and comes with the lot next door!!!! Please verify all measurements and school district." "HARLANDALE One of a kind! Masterfully remodeled three-bed, two-bath home. 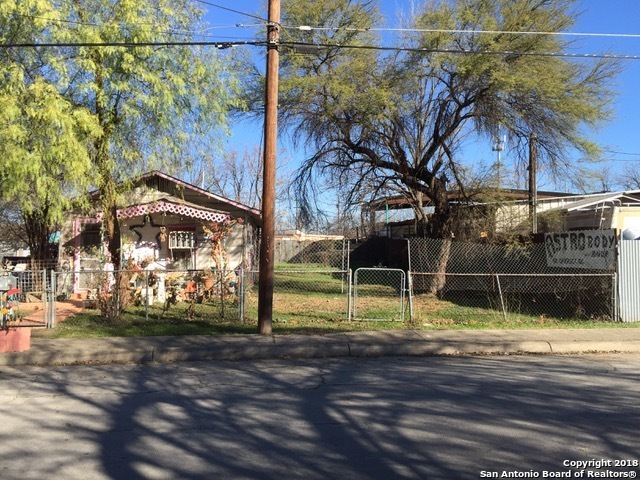 Large lot located in the heart of South San Antonio between Southcross and Military Drive. Open concept floor plan. Central heat and air. LARGE master bedroom. Move-in ready!" "Well-maintain Corner Home on a Quarter of an acre * Majority of home has Hardwood floors for the exception of entry rooms & bathrooms * Custom shelving in Living Rm * Master BR w/exterior access door * CPS Casa Verde Home * Central Air/Heat * Solar window screens throughout * Ceiling fans x4 * Steel siding * Detached 2 Car Garage or workshop + RV parking/carport + add'l slab ~ Great for family with several vehicles * Mature Trees * 2 Laundry rooms * One block south of Harlandale HS *"
"This home has been completely remodeled. New Floors, new plumbing, electrical has been updated. Insulation has been added in walls, New Driveway was poured along with steps and pathway. New A/C, new doors, new fixtures. Large pecan trees in front and back. Large back yard!! Bring your buyers, they will not be disappointed!!! Please verify all measurements. Offers to include pre approval or POF." 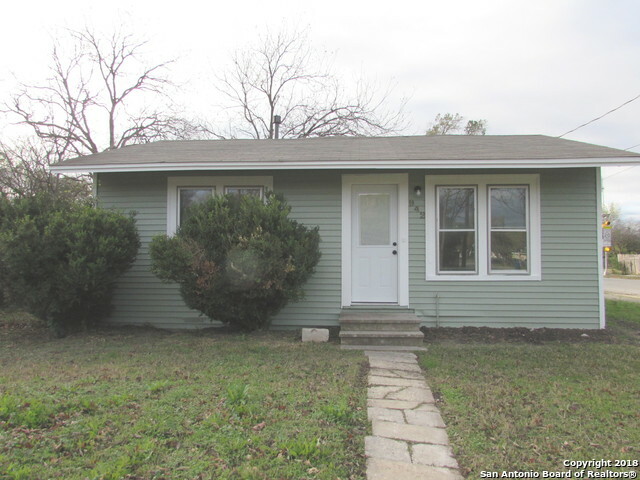 "Cozy home located in Harlandale! This is the perfect starter home for first time buyers! NEW AC installed Nov.2017 with transferable warranty. This well maintained home is all you'll need. Conveniently located 15 min from Riverwalk and downtown shopping with out all the noise of the big city." "It's EZ to Show. Metal Roof, Refurbished Interior and Exterior, Three Bedrooms, Two Full Baths, Living Room, Dining Room, Large Kitchen. Hardwood Floors, Centrtal Air/Ht Large Shop/Garage/Storage. Thanks for Showing." 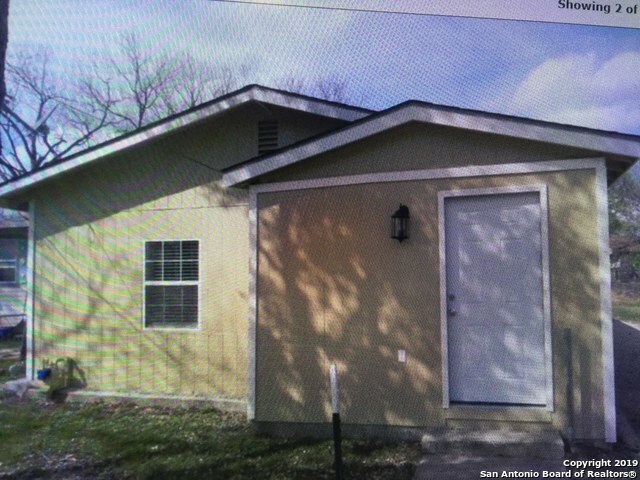 "This area is very accessible to South Park Mall, Brooks, Palo Alto College and downtown San Antonio. You might want to drive by and see the location first."